ForumWindows XP Operating SystemDenied Permission ? 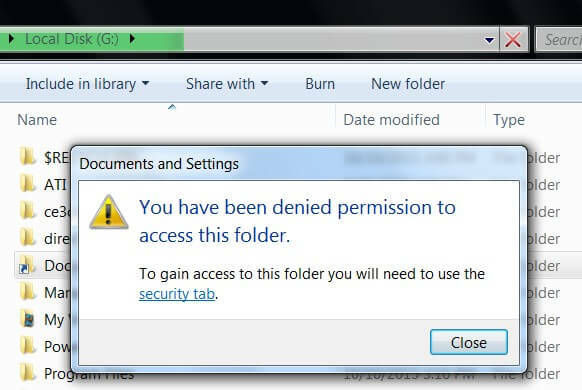 I hooked up my old XP hardrive to an external enclosure and most of the files and folders opened without any problems but when I tried to open some like "Documents and Settings" I got a pop up window that said "You have been denied permission to access this file". I clicked on "Security Tab" but I had no idea what to do next. You must be using W7 to open the XP HD. 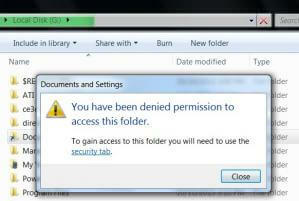 Try using "open as administrator" and if that doesn't work then use your security tab to get full permission.